Have you ever woken up in the morning, dragged yourself into the shower, then slowly gotten ready for work because you are so darn tired? Iâ€™ve had those days before, and they are horrible. I go through the day, not quite able to wake up and just wait for the day to end. When I have those kinds of days, I sometimes have an energy drink in order to give me a boost. With so many different energy products out there, it kind of gets overwhelming sometimes. There are energy drinks, energy shots and energy pills to choose from, so many products that sometimes itâ€™s hard to decide what to use. Iâ€™ve never been a fan of energy pills; in my experiences the energy pills give me so much energy that I have to keep moving around or else I feel like throwing up. Instead I prefer energy drinks, but sometimes I donâ€™t want to drink all those calories. 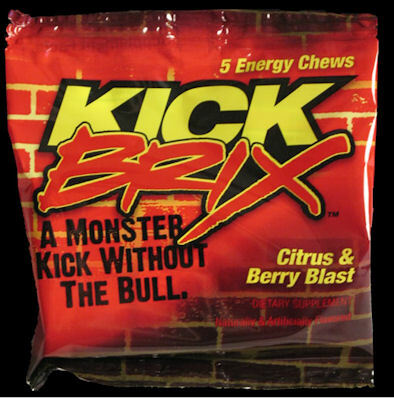 I had a chance to try Kickbrix energy chews. I was excited to try these because sometimes energy drinks are too much for me; I never finish a whole can and feel like Iâ€™m wasting my money. These chews seemed perfect; they are small, chewable and only 25 calories. Plus, their website looks pretty awesome.